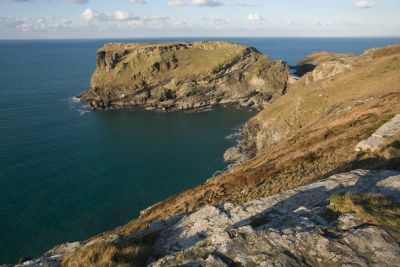 Famous for its remote, bleak coastline, popular with surfers, much of North Cornwall’s seaward edge has been protected from development by its sheer inaccessibility. 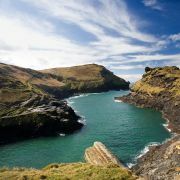 Boscastle is a good example of the scarcity of secure inlets, being the only possible place for a harbour in many miles of coastline. 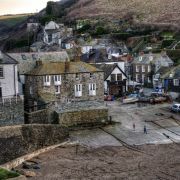 A picturesque village lately troubled by flooding, Boscastle has benefited from ownership by the National Trust and much of its history remains intact today, including the ancient Celtic farming practice known as ‘stitchmel’ which continues today on the Forrabury Stitches. From Boscastle the windswept coast path winds north to Bude, whose west-facing sea-front at the mouth of the River Neet and long, sandy beach makes for stormy weather and large numbers of surfers. 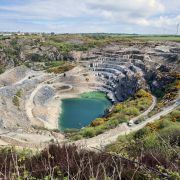 The coast of North Cornwall is important not only for its outstanding natural beauty but because it is the only part of the county made from carboniferous sandstone, a type of rock that is around 300 million years old. 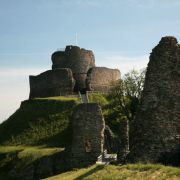 Legends abound on this wild and windswept landscape. 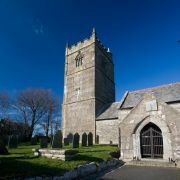 Tintagel has long been associated with King Arthur and many think the tiny village, site of a 5th century Celtic monastery, was his birthplace. In 1998 the discovery of the ‘Arthur Stone’ by archaeologists only served to intensify the speculation. A short distance from Tintagel is Trebarwith Strand, a long stretch of white sand backed by caves and often cited as the finest beach in Cornwall. 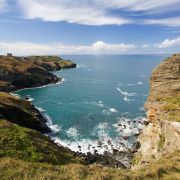 South from Trebarwith is the attractive fishing village of Port Isaac, whose narrow streets, picturesque harbour and dramatic setting under steep rocky cliffs are well worth an afternoon’s exploration. 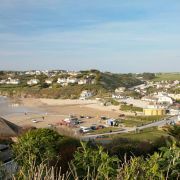 Further south again is the town of Polzeath, home to another sandy, west-facing beach, on which it is possible to hire surf equipment and wetsuits. 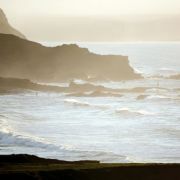 Inland from Polzeath is the larger town of Rock, known throughout the county as an exclusive hangout for millionaires. 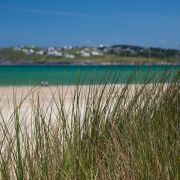 More welcoming and famous for Rick Stein and his lavish seafood restaurant, is Padstow. There is a year-round ferry connecting Rock to Padstow, which are separated by the beautiful Camel estuary. 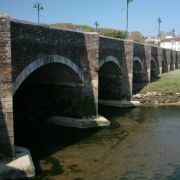 At the head of this estuary, inland from Rock, is the town of Wadebridge, whose fifteenth century bridge with seventeen arches is one of the finest in England and marks the time when the town was a major trading port. 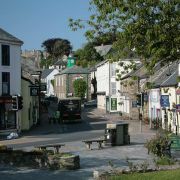 Today Wadebridge is a useful hub for local transport and services. 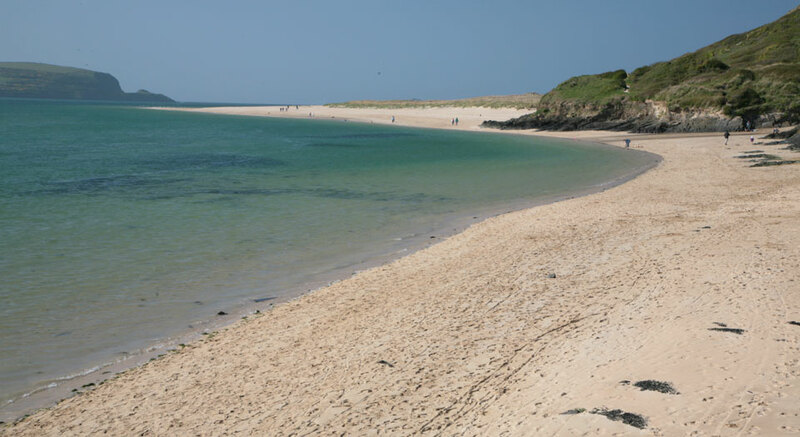 Bikes can be rented here with which to explore the famous Camel Trail, an off-road cycle track and footpath that follows the line of the old Bodmin to Padstow railway that was closed in the 1960s. 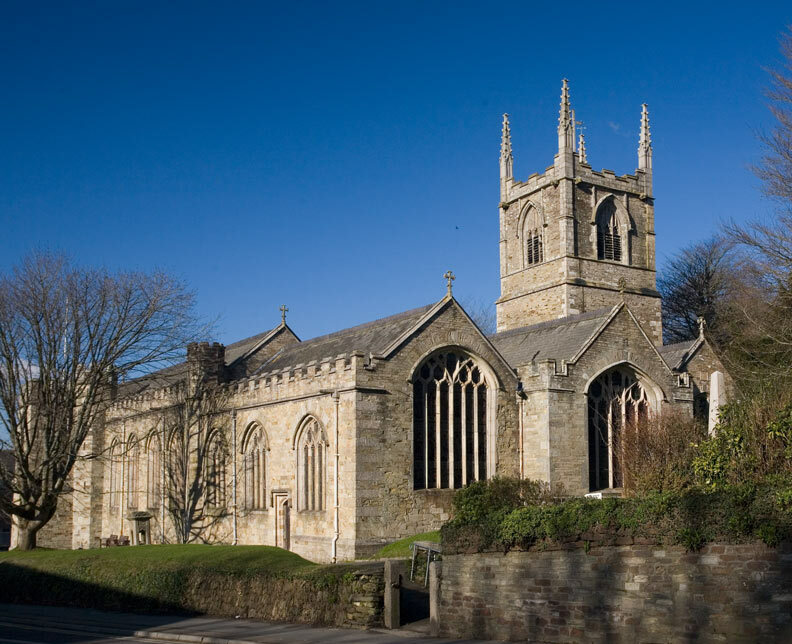 The town of Bodmin is located on the south-western edge of Bodmin Moor. 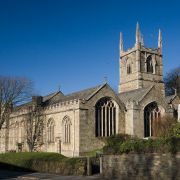 Once Cornwall’s administrative centre, the town is now best-known for its eighteenth century gaol (now a semi-ruin) and formerly the site of public hangings, and the Church of St Petroc, founded in the sixth century. 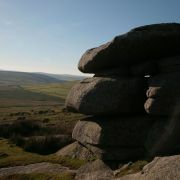 Bodmin Moor, sliced in half by the A30, is Cornwall’s largest granite upland, an area of about ten miles by ten. North of the road it is bleak and wind-swept while further south it is dotted with farms and tiny villages. 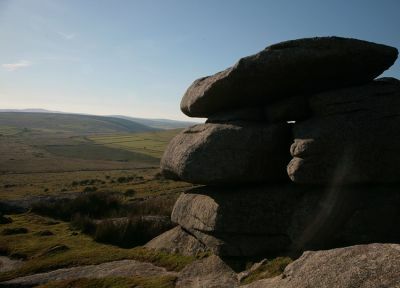 The moor was made famous by Daphne DuMaurier in her novel Jamaica Inn. Once a haven for smugglers and a stopping-off point for travellers, the inn, which stands in the hamlet of Bolventor, right in the centre of the moor and just off the A30, continues to provide food and shelter for travellers, albeit in a theme-park style environment. 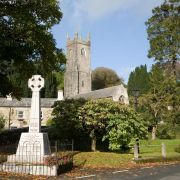 For a more authentic Bodmin Moor experience head to the tiny village of Minions, a good place from which to explore some of Cornwall’s best pre-historic monoliths. 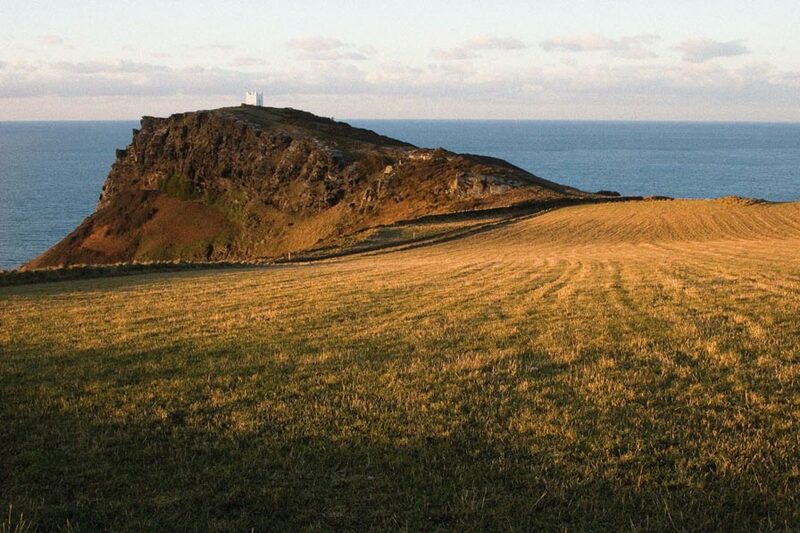 The Hurlers, a short walk from Minions, are three bronze-age stone circles named after the legend which says they are the remains of men who were turned to stone for playing the Cornish game of hurling on the Sabbath. 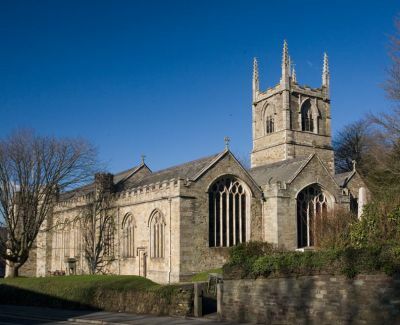 Sheep and ponies wander at leisure through this sleepy village, which stands at 1000 feet and exists as a result of mining activities in the eighteenth century.